All of our lessons throughout the school year focus around the central themes of land, water, air, and energy. This week, we began our unit on land by discussing the necessity of healthy land for our food to grow. Composting serves this purpose in two ways – This process “recycles” fruit and vegetable waste rather than sending it to the landfill. Also, this process creates nutrient-rich food for our plants in the garden. This lesson introduces students to the purpose and process of composting through children’s literature (see my book reviews on the topic of composting here). Following the lesson, students were encouraged to connect what they learned at school to what they do at home (see home composting methods and SPARK kids composting at home here). As always, contact me with any feedback on these lesson ideas! What a terrific introduction to composting! 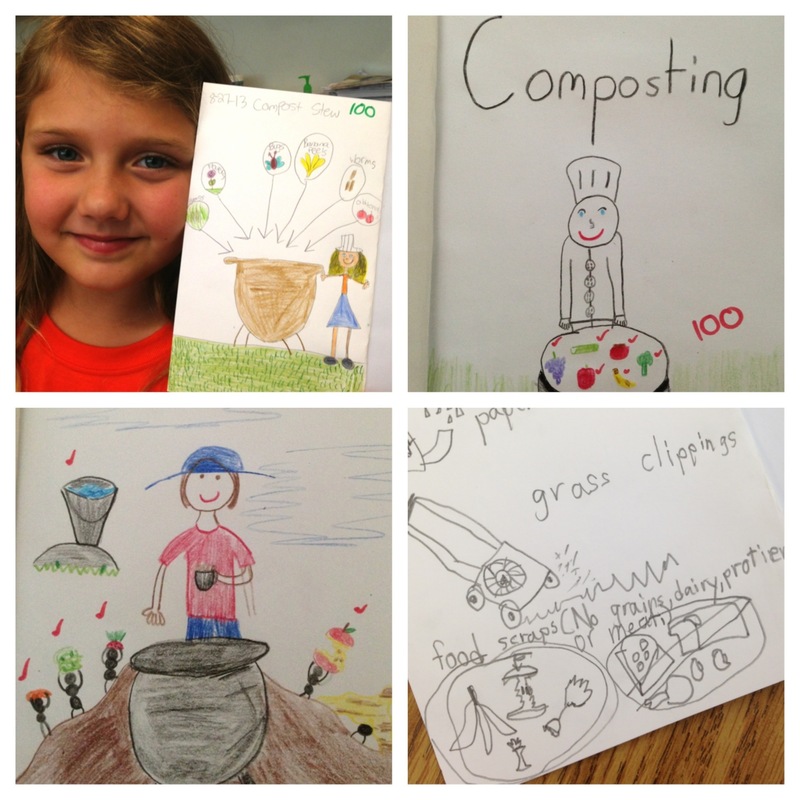 Thanks so much for integrating COMPOST STEW into your lesson plan, and for sharing the students’ STEWpendous work!